250,000 high-quality plants per year – this is the result of our optimal prepared, fertile soil and the maritime climate at our Pontelongo site, and a largely fruit cultivation-free zone of the Province of Padova where not only the Oberhofer Nursery apple and pear trees, but also various pome and stone fruit trees, thrive. With 40 years of practical experience as a co-founder and former shareholder of the Kaneppele Nursery, Hermann Oberhofer has a wide range of expertise and a keen eye for tree cultivation. Bernd Oberhofer graduated from the Oberschule für Landwirtschaft (agricultural college) in Ora and used his excellent training to acquire innovative expertise during internships both at home and abroad. Together, they run the Oberhofer Nursery, a competitive agricultural company. The Oberhofer Nursery doesn’t just attach special importance to the quality of their products (over 250,000 plants every year), they also value their contact with their customers. 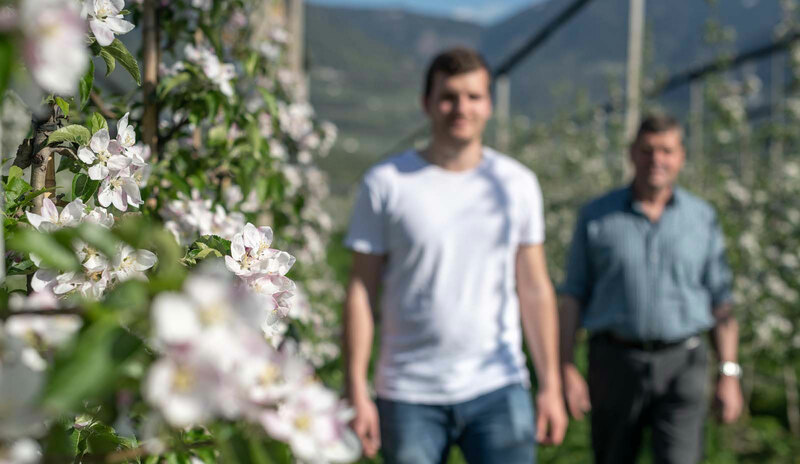 With its well-structured production chain, efficient management and expert advice on varieties, rootstocks, growth and location, all based on their own experiences cultivating fruit in the South Tyrol, the nursery supports its clients in all areas of cultivation. A nursery specialising in exclusive varieties and new cultivation systems, supplying companies both at home and abroad. The annual production is around 2 million plants. Founded by the members of Fruitplant, this company focuses on the promotion and development of new varieties by managing the propagation rights to breeding, crossing and selection.